When I think of 'Red' I immediately think of the Pokemon trainer named Red. 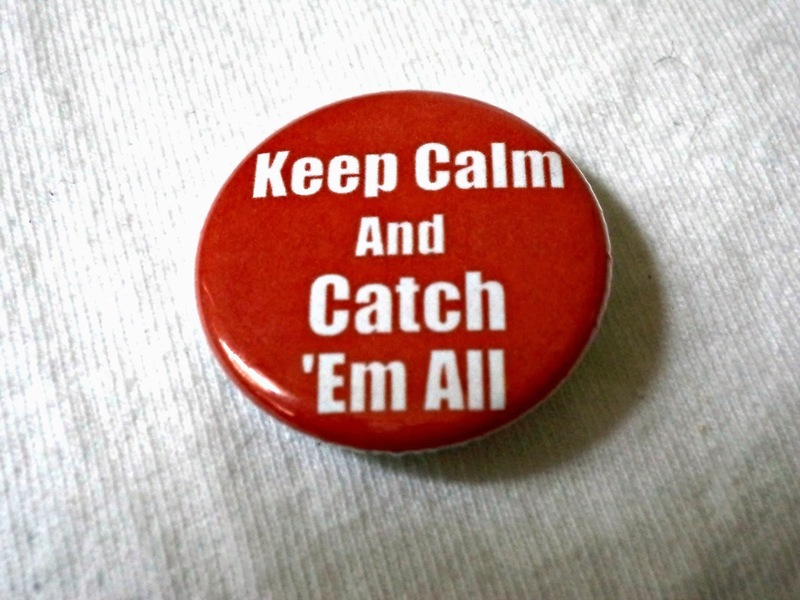 And, in true Pokemon lover style, I created the Keep Calm and Catch 'Em All button inspired by the colors of the Pokeball. 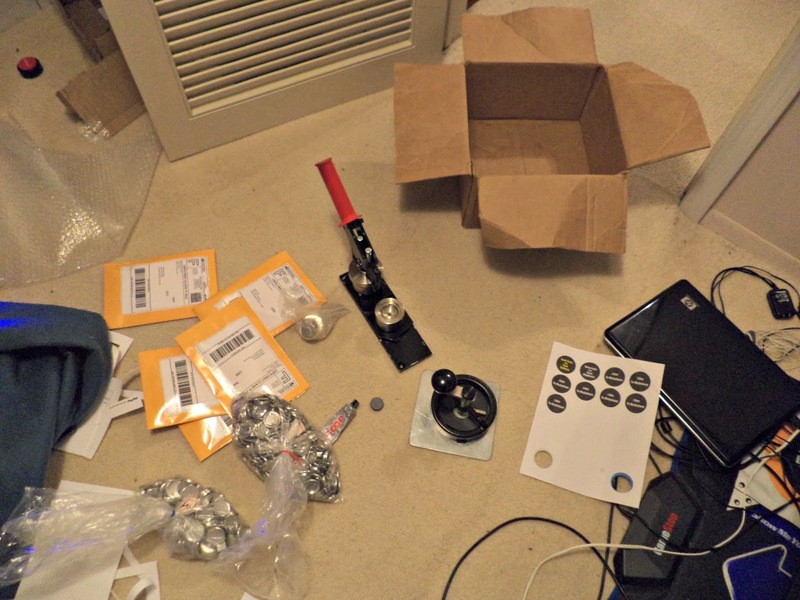 This was 'where I stood' on Monday during the #StorencyFlash30 sale! Amongst packaging and button making supplies. The room just exploded! 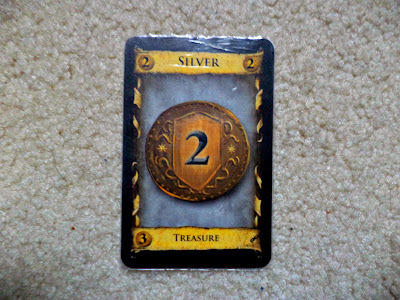 This is a 'silver' card from one of our favorite games, Dominion. We own all of the standard expansions and keep them in two portable tool boxes! What games do you like to play? This 'tiny' amugurimi goldfish named Marmalade was born at Jolly Mushroom Creations! 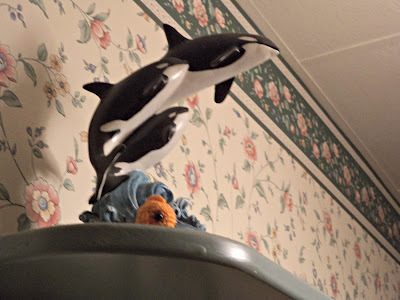 She happily watches me craft at the kitchen table with her orca buddies.